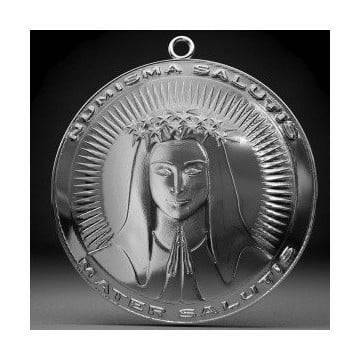 The front of the medal depicts the Mother of Salvation with the sun in the background. 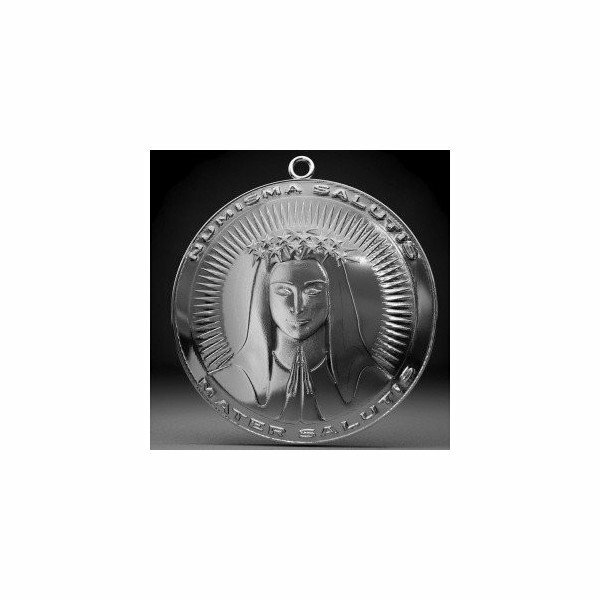 Twelve stars, woven into a crown of thorns, sit on her head. 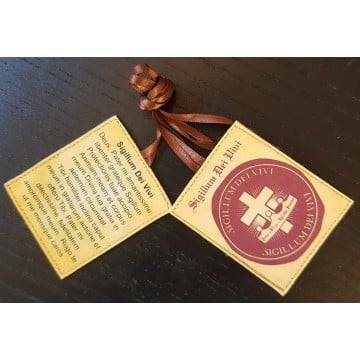 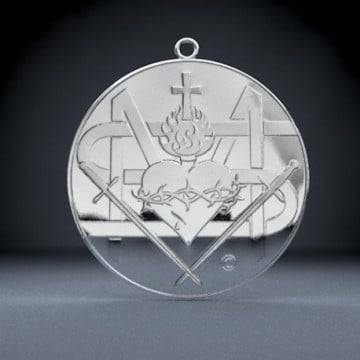 The reverse side depicts the Sacred Heart of Jesus with the two swords of salvation – one which slays the beast and the other which pierces the hearts of the most hardened sinners – which are crossed on each side.